Thousands are expected to gather at Our Lady’s Basilica in Knock tomorrow, Sunday, to pray for the protection of the right to life of the unborn child. The gathering is part of a pilgrimage to Knock being organised by the National Apostolate of Eucharistic Adoration. A significant number of those present will belong to the Apostolate’s diocesan committees, but also present will be those involved in organising Eucharistic adoration at a parish level, plus their friends and families. A Mass for pilgrims will be celebrated at 3pm in the Basilica by Bishop Alphonsus Cullinan, Bishop of Waterford and Lismore, and he will also deliver the homily at the celebration. “In many ways Knock is the spiritual centre of Ireland,” said Bishop Cullinan ahead of the event. “It is fitting that people from all over the country will gather there before the referendum on Friday May 25th on whether or not to remove the Eighth Amendment from our Constitution. Priests, religious and lay people are invited to come, and parish committees are arranging transport on the day. 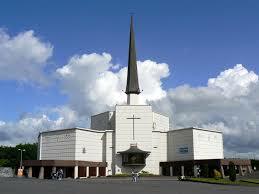 Pilgrims will be welcomed to Knock Shrine at 11am with tea available in Saint John’s Centre near the Basilica. The Sacrament of Reconciliation will be available from 11.30am onwards and there will also be opportunities for personal prayer. Early in the afternoon, there will be a talk at 1.30pm on the theme “Adoration – For all the Family” at 1.30pm. Music at the 3.00pm Mass will be performed by the Cathedral Choir from Waterford and Lismore. Following the Mass, a Eucharistic Procession will be led from the Basilica, finishing in the Apparition Chapel for Benediction, with a closing word from Brendan Cleary, a member of the National Apostolate. Those attending are invited to bring along county flags and Apostolate banners to make the procession as colourful and meaningful as possible. Children are especially welcome, and they can avail of a special programme on the day devised by Antoinette Moynihan and the Children of the Eucharist team. For more information please see www.eucharisticadoration.ie.